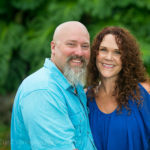 Traveled to Hilo over the weekend to capture a family at their home. We did a mix of locations; the front lawn, inside the living room and on the front porch. Some of my favorite photos were on the porch with the family reading with the youngest member of the family.